JNTUH provisional list of eligible candidates for gold medals in sixth convocation-2014-15 and 2015-16, jntu hyderabad selected Candidates for Gold Medals in VII convocation. 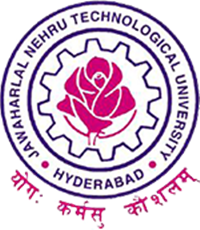 Sub: JNTUH – Exam Branch – VI Convocation – Final List of Gold Medals – Reg. The Final list of Gold Medals for VI Convocation is herewith enclosed. The candidates, who wish to receive the Gold Medals in the VI Convocation, can register through online mode at the JNTUH VI Convocation website link: epayments.jntuh.ac.in/convocation on or before 31-03-2017. Each candidate will be given only ONE Guest entry pass, which can be collected from the Examination Branch on 17-04-2017 and 18-04-2017 during the working hours (between 10:30 A.M. to 5:30 P.M.). Further, if any issues are there, contact Dr. R. Sridevi, Additional Controller of Exams, JNTUH. The Revised Provisional list of Gold Medals for VI Convocation is herewith enclosed. The list of Gold Medal eligible students for the years 2014-15 and 2015-16 outgoing batches are given below. All the Principals are requested to go through the list of gold medal revised provisional list and if any queries related to the gold medals, can be brought to the notice of THE DIRECTOR OF EVALUAITON / THE CONTROLLER OF EXAMINATIONS through email ids are dejntuh@jntuh.ac.in and cejntuh@jntuh.ac.in on or before 18th March 2017 by 5:00 PM. Please consider this letter as MOST URGENT and respond at the earliest.